BESPOKE SHOES are shoes made especially for a certain customer by a shoemaker. The feet are measured and a last for each foot is created. At the fitting, the customer tries the prototype pair of shoes made in an inexpensive leather and the shoemaker checks if anything needs to be changed. If so, the changes are applied to the lasts and the shoes are created with a precious leather. After the final lasts are created, the customer can order more pairs shoes without more measurements and fittings. BESPOKE is a British English word that means a clothing item made to a buyer's specification (personalised or tailored). While the term historically is applied to only men's tailored clothing, it now generally includes footwear, fine jewellery and other apparel, implying measurement and fitting. For most non-clothing items, the term build to order is usually used instead, although the term 'bespoke applications' is often used to refer to custom software built by a company for its own use by a department other than the IT department. The distinguishing points of bespoke tailoring are the buyer's total control over the fabric used, the features and fit, and the way the garment should be made. More generally, "bespoke" describes a high degree of customisation, and involvement of the end-user, in the production of the goods. Cad & the Dandy, a modern Savile Row tailor, describes true bespoke as having a full floating canvas, basted fitting and detailed hand finishing. MADE-TO-MEASURE typically refers to clothing that is sewn from a standard-sized base pattern. A tailored suit is a common example of a made-to-measure garment. The fit of a made-to-measure garment is expected to be superior to that of a ready-to-wear garment, because ready-to-wear garments are constructed to fit the manufacturer's definition of an average customer, while made-to-measure garments are constructed to fit each customer individually. However, made-to-measure items are seen by many to involve less workmanship than bespoke or "custom made" garments, as made-to-measure garments always involve some form of standardization in the patterning and manufacturing processes, whereas a bespoke garment is made entirely from scratch based on a customer's specifications. Typically, a made-to-measure garment will be more expensive than ready-to-wear garment but cheaper than a bespoke one. CUSTOM-MADE means made according to the specifications of a particular individual. ALAN FLUSSER CUSTOM SHOP - "Permanent Style." New York City. ALDEN - "Custom bootmakers since 1884." Alfred Sargent Shoemakers - "Synonymous with quality English shoemaking since 1899." Over four generations we have acquired an enviable reputation for the most excellent made to order service, enabling our clients to compliment their wardrobe with the vast range of styles we offer for every occasion. ALLEN EDMONDS CUSTOM - "Custom-made men's dress shoes & casual shoes since 1922." Andrew McDonald Shoemaker - since 1990. Men's & women's custom made shoes. ANELLO & DAVIDE - bespoke shoes since 1922. "The premier brand in dance, theatrical and bridal footwear, with a reputation for specialised, handcrafted shoes." AUBERCY - Bottier à Paris - 1935. "For me, Xavier Aubercy, Bespoke is the Haute Couture of magnificent bootmaking. It is certainly the most exceptional of what we can realize with leather, thread and wood. If we were to draw a parallel with fine watchmaking, it would be a grand complication like the perpetual calendar or the minute repetition, which is to say an ideal form which can only be realized by hand." BERLUTI - Paris since 1895. "The ultimate expression of luxury for men." A century-old history, artisanal craftsmanship and creativity that is constantly renewed: Berluti bespoke shoes are the quintessence of the House. Hand-assembled and customizable from the wooden last to the choice of leather and patinas, Berluti bespoke shoes combine absolute comfort and unique flair. At Berluti, it all starts with the first appointment, when the master shoemaker and client meet. In the store, or in the Paris workshops on Rue Marbeuf, a discussion will ensue in which the shoemaker listens, questions, and notes the wishes and habits of his client. BONTONI -"Fine Handcrafted Italian Men's Shoes." Third-generation Italian family company that produces a very exclusive line of bespoke and ready-made men's dress shoes. buchanan bespoke tailored footwear - since 1925. "Distinctive Shoes Made in Scotland." Our Bespoke Brogues are created by measuring your feet and tailoring the shoes to your individual proportions. You choose your leather and tartan or tweed and allow us to measure your dimensions up to 3 times to receive a completely unique pair of Scottish shoes, tailored for a perfect fit. CAROLINE GROVES - since 2003. "The Bespoke Experience." The joy of owning a bespoke pair of shoes is not only in the wearing but also in the commissioning process of something that uniquely reflects your personality and desires. Christian Louboutin - since 1991. "Made to Measure." Meet the World’s Most Exclusive Shoes. The most exclusive shoes in the world come in only one size: yours! If you can dream it, we can make it. In Christian Louboutin’s Paris Atelier, elite artisans work with you to bring your footwear wishes to life through our Made to Measure service. One of the best-kept secrets in the fashion world, the Made to Measure process is unique and utterly luxurious. In our salon, one-of-a-kind shoes and boots are meticulously created from your personal measurements, and crafted with care by a number of expert hands. The possibilities are endless! CROCKETT & JONES - since 1879. "Full Bespoke." A full bespoke service is available through our Parisian Flagship shop at 14 Rue Chauveau-Lagarde, La Madeleine. This store houses the workshop of the 'Maître Bottier', Dimitri Gomez, who hand-crafts bespoke shoes of the highest order, using top grade leathers from the finest tanneries. Duke + Dexter - since 2013. Handmade in England. Men's bespoke loafers. "Our craftsmen require 10-14 days production time for bespoke pairs. All D&D's are handmade in England. After order confirmation, our bespoke team will send you a mocked up image of your exclusive design. Should you require a completely tailor-made design, please email hugh@dukeanddexter.com for assistance." E. VOGEL Bespoke - "Since 1879, E. Vogel Custom Boots and Shoes has been a family owned and operated business, dedicated to providing our customers with the finest in footwear. Our handmade boots and shoes are fashioned for perfect balance and support, with effortless movement afoot. Uncompromising attention to detail and exceptional wearability are the hallmarks of E. Vogel Bespoke Inc."
EDWARD GREEN - since 1890. "The finest shoes in England for the discerning few." Custom Made Men's Shoes: Create a shoe that is unique to you. Drawing on our century of shoe-making experience, select from our range of patterns, lasts, leathers and details for a shoe which not only fits your foot but also your style. FOSTER & SON - establisted 1840. 83 Jermyn Street, London, U.K. London's oldest established shoemakers and one of the oldest-established custom shoe and bootmakers in the World. Known as "The shoemakers' shoemaker". Bespoke custom-made men's shoes & boots. GAZIANO & GIRLING - since 2006. "Handcrafted in England." The best of the best. In terms of craft, fit and freedom of expression, the bespoke service at Gaziano & Girling creates simply some of the finest shoes available. Bespoke allows the customer free rein to create his perfect shoe, specifying the shape, details and leather. As a last is sculpted from beech wood specifically for the individual’s foot, the result is a shoe that hugs the heel and frees the toes, ensuring the greatest possible comfort. The shoes are completely handmade by a group of five craftsmen. G.J. CLEVERLEY & Co. - since 1958. "Bespoke is the ultimate luxury combining the three elements that make Bespoke what it is. The perfect fit, total control over design, and a completely handmade product." Heel the World (HTW) - since 2011. "All our shoes are now available for full customization via our Bespoke program. This intricate process involves meeting you, in person, with the customer and allowing you to choose every single element of your footwear including leather, colours, materials, and other embellishments such as a personal monogram. Your shoes are then handmade in Ghana." Jan Kielman - since 1883. "For over a hundred and thirty unbroken years we have been making customized shoes for customers who appreciate classic design, comfort and the inimitable charm of handcrafted products." 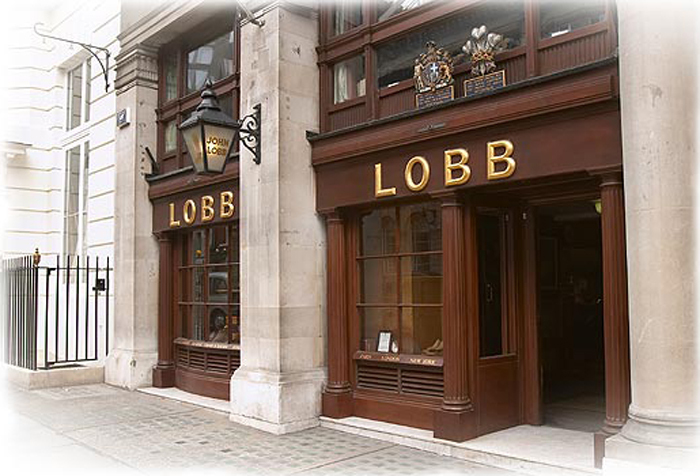 JOHN LOBB BOOTMAKER - founded in 1866. "Makers of the finest hand made to measure shoes and boots." Benefits of John Lobb Shoes & Pricelist. Men's & women's. KLEMANN SHOES - since 1986. "They are the 'Rolls Royce' among shoes: bespoke shoes. Every hand-sewn, bespoke shoe is individually created to perfectly suit the customer´s foot and guarantees unique quality." Leffot - since 2008. "Custom Made." We take great pride in specializing in custom made shoes. If you’re looking for shoes in a particular color or leather, or if you wear a special size or width, having a pair custom made is just for you. Ludwig Reiter - since 1885. "A custom-made shoe is an individually designed Ludwig Reiter shoe. Within a few weeks, with a minimal surcharge, a combination of shoe patterns, last, upper leather and sole is produced." MARINI - since 1899. "The Marini bespoke experience starts with the measurement of the Client›s feet, performed by our specialized artisans. The Client is then assisted by specialists to decide the following features of their one of a kind shoe: the model, the leather, the sole, and every other detail in order to make the shoe a unique piece." High class handmade Italian men's shoes since 1899. Oliver Moore Bootmakers - since 1878. "Oliver Moore is responsible for some of the most beautiful handmade shoes in New York. The founder of the firm, Oliver Moore, learned the craft of shoemaking in England, and took his knowledge and love of tradition with him to the USA in 1878. Since that time, many famous personalities have been Oliver Moore customers, including Whitney Houston, Charlie Sheen, Walter Cronkite, Carol Burnett, Paul Anka, Glenn Close, Kathleen Turner, Katherine Hepburn, Steve Wynn." Men's & women's. PAKERSON - "Handmade in Italy since 1923." Bespoke is excellence, for its singular skill in fashioning footwear entirely by hand-like a tailor-made suit-to the precise form of each individual Client’s foot. The Pakerson boutiques offer tailor-made footwear services. PAOLO SCAFORA NAPOLI - since 1956. "The "Bespoke" service represents the pride of Paolo Scafora craftsmanship. It is dedicated to the gentlemen who adore top quality and absolute comfort, as well as to all those who wish to satisfy their specific ergonomic needs. It is a "pure" tailoring service, an elaborate and long process able to fulfill the most daring requests of Customization, Design and Construction. Its purpose is creating a unique jewel." Scarosso - since 2012. "Volumental and SCAROSSO use 3D technology to revolutionize bespoke shoes." The bespoke line offers a new and unique combination of cutting edge 3D technology and traditional craftsmanship. Based on 3D data of the foot SCAROSSO will create fully bespoke lasts, which will be used to create handmade Italian leather shoes. The customer is at the very center of the process and the shoes are created according to the precise measurements of the wearers foot. The partnership with Volumental allows the feet to be measured with millimeter precision in just a few seconds using cutting edge 3D body scanning technology. SILVANO LATTANZI - since 1974. "The noble gesture of bowing in order to take the measurements of the foot is a lesson in life." Right from the beginning Silvano Lattanzi has always manufactured "handmade" footwear. "Handmade" though does not just mean that the Client chooses the leather, combines shapes and styles. More than anything else, it means that the shoes will be created around his feet, bearing in mind the height of the person, their weight, their life-style and, obviously, the conformation of the foot itself. It is a lengthy and meticulous task, which must take into account the foot's proportions and also any eventual osseous anomaly. But even more importantly: it must adapt those same proportions to the shape chosen by the Client. Men's & women's shoes. Stamp Shoes - "Bespoke Shoemaker." The finest bespoke shoes hand-crafted in Northampton by Nicholas Cooper. Bespoke made-to-measure shoes. Stefano Bemer Firenze - since 1983. Bespoke and Made to Order shoemaker. "We offer a choice of over 40 basic styles, each of which comes in three, four or more versions. French and english calf, english suede, shark-skin, hippopotamus, elefant and camel-hyde, ostrich, crocodile, kudù, sting-ray, toad-skin, perch and tripe, are amongst the skins we use to meet even the most demanding client's desires." Stivaleria Savoia Milano - since 1870. "Question of Style." There is a stye that never goes out of fashion, because it is a classical style, that never follows the latest trends, it is a style in itself, that changes and evolves, but never loses its identity. This quintessential style, together with the preciousness of the raw materials, the hand crafting of the workmanship, the attention to detail are all part of the quest in realizing perfect accessories with great intrinsic value. This is the characteristic and exemplar of Stivaleria Savoia. THE LONDON SHOEMAKER - since 2006. "Shoes of distinction crafted by hand." Having a shoe made to fit you exactly is a luxury, but hundreds of years ago it was the only way that shoes were made. Today you can still have a shoe made in the same way but with a difference - You can choose the leather, the lining, the toe shape and the style. From a classic oxford or brogue to something modern with a twist, perhaps a brogue but with a punching design that suits your style. Whatever the style, providing we can cut the pattern, we can make it. Gentlemen’s & Ladies Bespoke Shoes. TIM LITTLE SHOES - since 1997. "Fully handmade bespoke shoes." Our bespoke service is fully handmade bespoke, which is very rare but also the best possible form of shoemaking in the world. We measure your feet, make your unique wooden lasts and then create the shoes to your exact specification. The process is a fine craft and takes around 10 to 12 weeks. Undandy - "Design Yours." Be as unique as you are in custom created shoes. Step back in the driving seat when it comes to every detail imaginable with our powerful customiser.